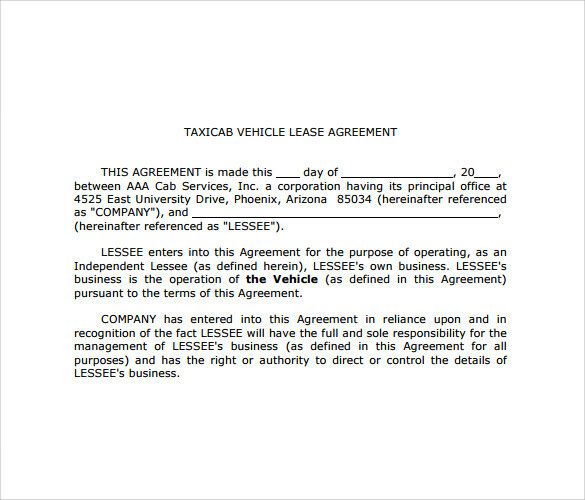 This sample vehicle lease agreement template is a rather easy to understand template which is neatly and clearly drafted with all the necessary points mentioned with due importance under clear and crisp sub heads. The sub heads are then elaborated with clear cut and bold sentences. This format is a quite reliable one since you will get all the major points like minute details about the vehicle leased, responsibility of maintenance, and use of the vehicle with care, lessee details jotted here. 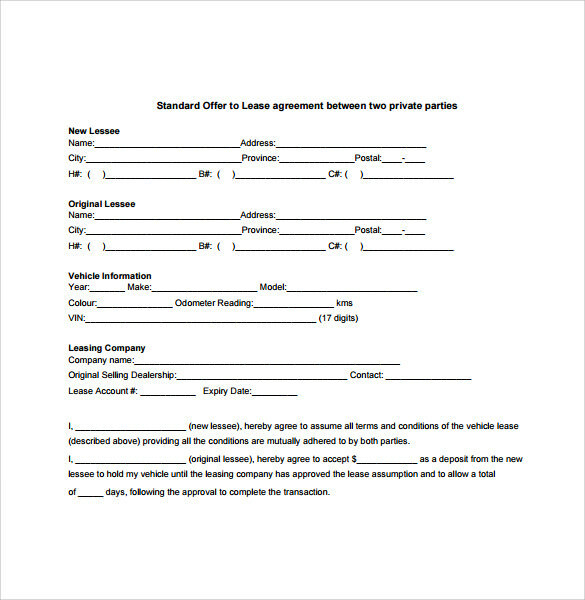 Here is a lease agreement template which is very precise and crisp in a fill in the blank style with the terms and conditions mentioned in short point format. You may download this word format template and edit as per your requirement and use for your purpose. This type of format mainly works when there are two lessee parties involved in the process of leasing. 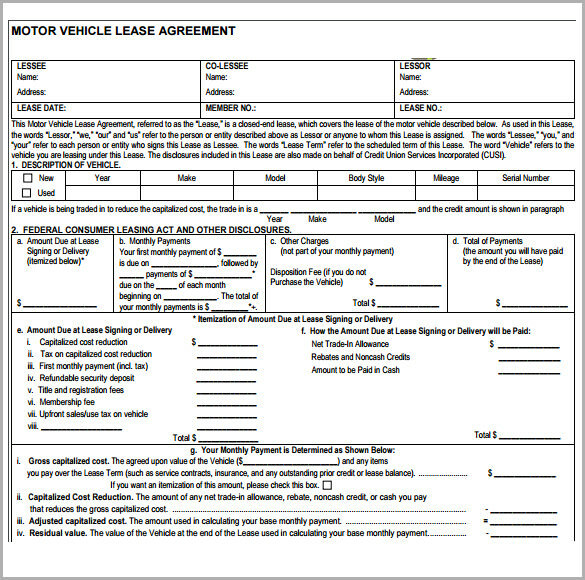 A moderately long lease agreement format is of great importance when there is leasing of a motor vehicle is engaged. This template has a main feature that clarifies the use of various abbreviations and technical terms throughout the entire document. The use of a tabular format to detail the vehicle on lease makes it more catchy and attractive to the viewers. A very common job anywhere is to ride a taxi. It is not always the case that one has to own a taxi to ride it. There are lesser available all over who lease out their taxicab to be driven and earn a share from that. 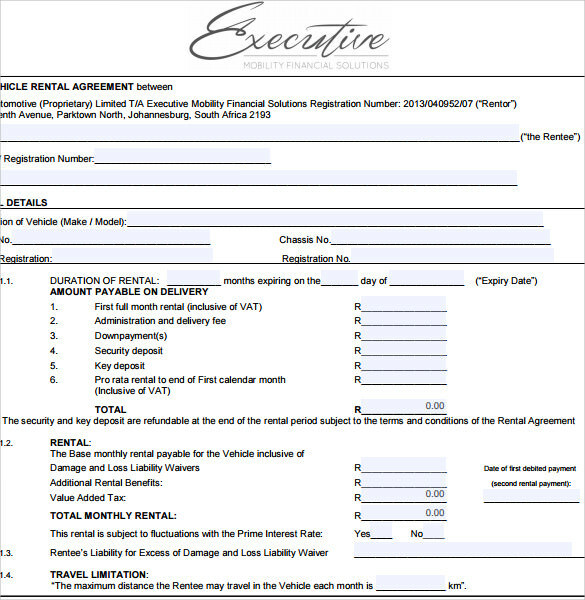 This type of sample vehicle lease agreement template is helpful in such cases of leasing of vehicles. A 17 pages agreement template mentions almost all the points which the lesser might feel worth mentioning to avoid cases of treachery by the lessee. The vehicle here is taken for lease for the transport purpose of office executives. All the other terms and conditions are mentioned in bold and straight sentences as the other templates. Though it is not much lengthy still it contains all the required clauses subtly divided into two parts as it is found in any insurance related documents. 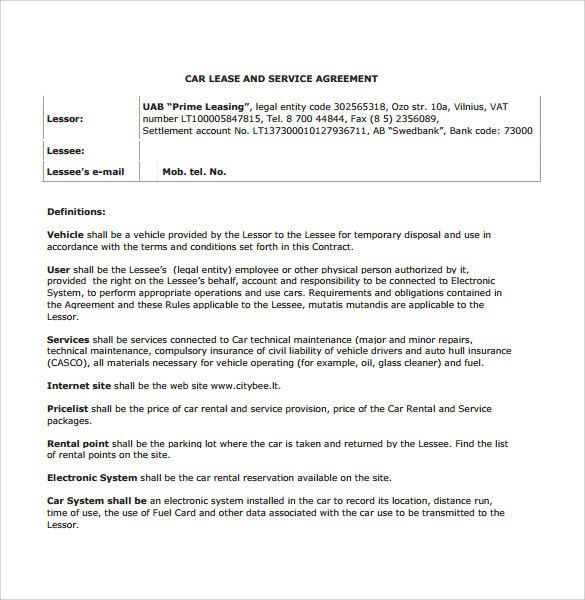 A very professionally formatted template of vehicle lease agreement and that too in an easy to use PDF format is the one we are now talking about. 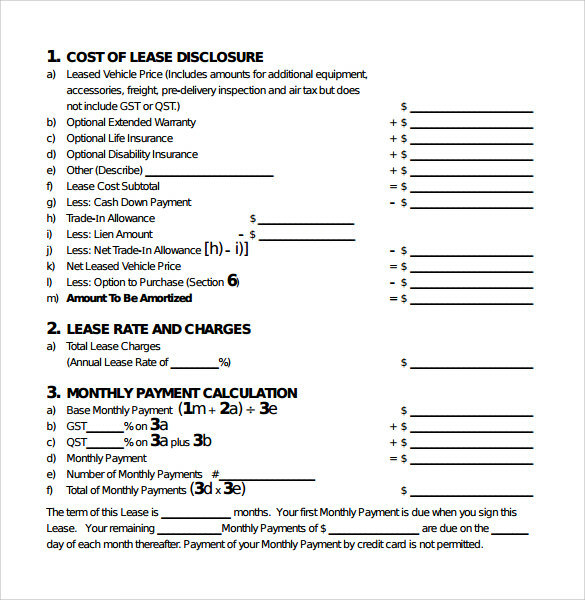 You can use this template for leasing a vehicle for business or trade purposes. The choice of words and sentence forming clauses are bold enough to bind the tenant into strict restrictions and ensure the careful use of the vehicle.